For years, Charlie Sheen played a millionaire music jingle writer who doesn't have to work and who has a fairly misogynistic attitude towards women on "Two and a Half Men." After his public meltdown, the decision was made to ditch Sheen and revamp the show with a brand new actor and a brand new character. 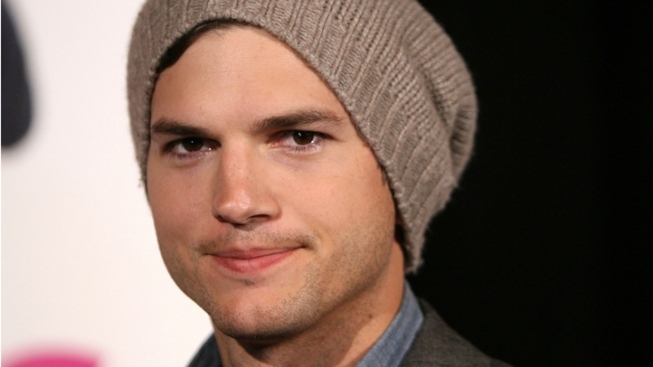 We know Ashton Kutcher got the gig, but now we know exactly what kind of radically new character the camera salesman and sometime actor will be playing. A billionaireinternet mogul who doesn't have to work. But get this - he's a "heartbroken" internet billionaire so he probably doesn't have a misogynistic attitude towards women! So he's a richer and nicer guy. Living in a house with a nice guy and a nice kid. Nice! Feel the niceness flowing over you. But CBS Entertainment President Nina Tassler insists that tape delay will still be required. "The show will be as irreverent as it has ever been," sais Tassler. "Our Program Practices people are already on high alert." All kidding aside, all eyes will be on "Men" when it returns on Sept. 19th, especially with unconfirmed rumors that episode 1 will kick off with the funeral of Sheen's Charlie Harper. Because who doesn't want to come out of the gate with a funeral episode? LOL!